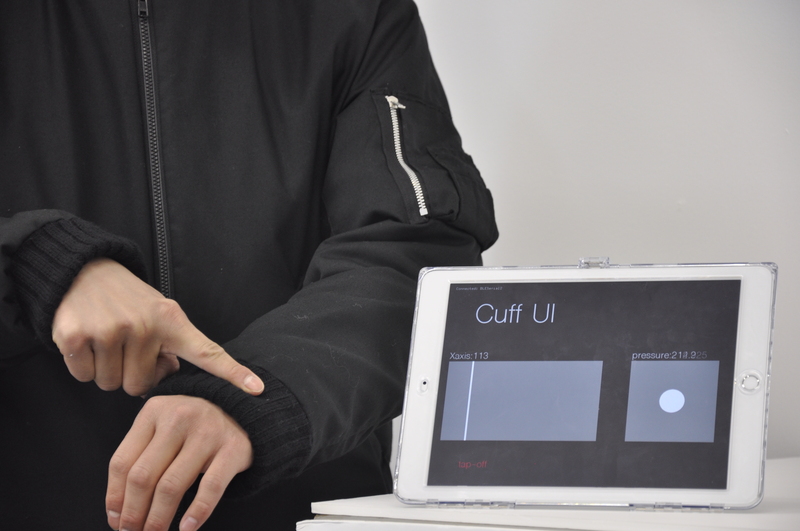 In our Textile++ system, the principle of resistive touch sensing is applied. Conductive cloth (SparkFun DEV - 10070) is used instead of a conductive lm panel, which is used for conventional resistive touch-sensing. Mesh fabric (non-conductive material) is used to separate the upper and lower conductive cloths when not touching. Mesh fabric made of polyester was used. Since the principle of resistive touch-sensitivity is applied, it is possible to detect the X and Y coordinates of the contacted substance. Furthermore, pressure can be detected.